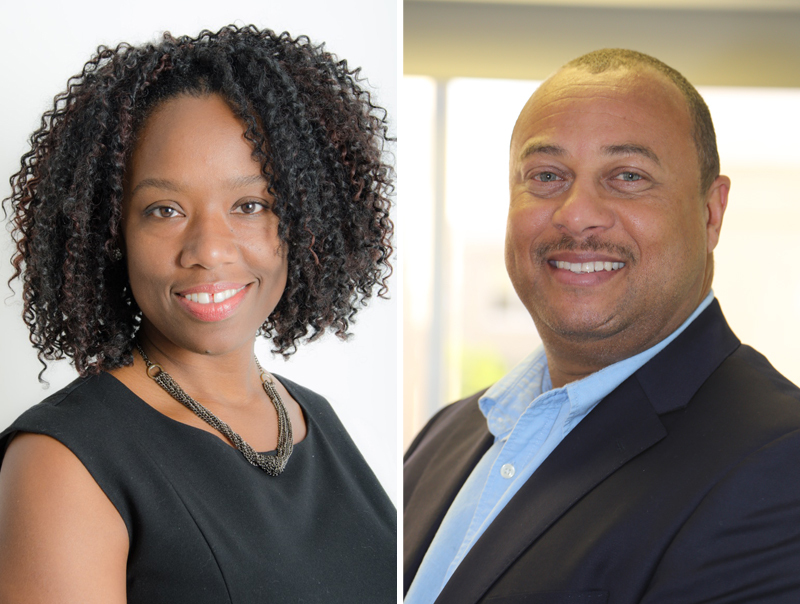 Bermuda Economic Development Corporation Executive Director Erica Smith has appointed two new Directors, Mrs. Jamillah Lodge, Director of Communication and Development and Mr. Raymond Lambert, Director of Micro, Small and Medium Enterprises [MSME]. “The new Directors will help to deliver on the new strategic direction of the BEDC under the guidance of the Board of Directors,” the BEDC said. “Jamillah Lodge has worked as a member of the BEDC team for over ten years. She began her tenure with the Corporation as a Business Development Officer where she supported local entrepreneurs with business support and guidance. “Always one to take on a challenge, when asked, Jamillah began managing the marketing and communication for the corporation and introduced special projects, like the Global Entrepreneurship Week initiative which provided BEDC with increased visibility on a local and international scale. The increase in demand for this type of support led to the creation of the Information, Education and Communication Officer role, which Jamillah assumed in 2015. Raymond Lambert started his tenure with BEDC in 2012 as the Economic Development Officer for the St. Georges Economic Empowerment Zone [EEZ]. In his role, he supported local business owners with advice, guidance, and financial products, and he coordinated advanced community-based initiatives to create economic development tools for the continued development of the St. George’s EEZ. One such initiative is the St. George’s Marine Expo which has helped to highlight St. George’s and increase the opportunities for the businesses located within The Town. Mrs. Smith stated that, “BEDC is extremely pleased to have persons as talented and experienced as Jamillah and Raymond in these new Director positions. Are this quangos projects turning prot from expenditures or mostly spending?